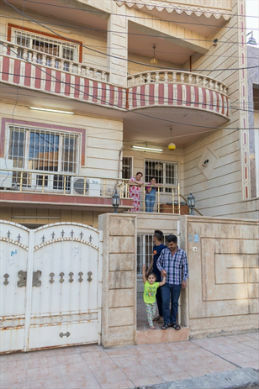 Tens of thousands of Christian families were chased from their homes in north-eastern Iraq when Islamic State jihadists invaded the Nineveh Plains in summer 2014. At first they expected to return within a few days. But the days became weeks, the weeks months, and the months years. 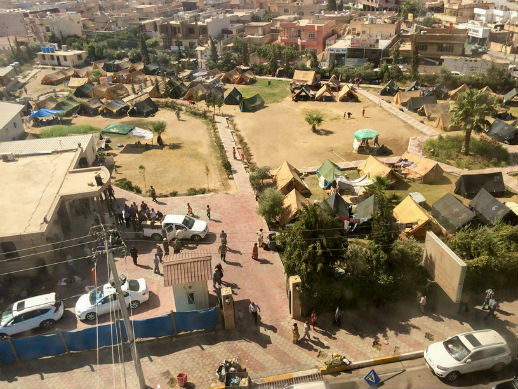 World Watch Monitor traces six ‘steps’ or ‘stages’ from the initial flight to their hoped-for return with the anticipated “liberation” of the plain this autumn, and show how Mar Elia Church compound in Erbil has transformed since first receiving those rendered homeless overnight. Every stage has carried hopes of more stable living conditions. Technically a ‘refugee’ is someone who has crossed the border of their country, so these Christians are ‘internally displaced people’ (IDPs). When IS took over Mosul, numerous Iraqis took up the few　belongings they could carry and left. Minorities – Yazidis, Shabak and Christians – were given the choice: leave, convert to Islam or die by the sword. (Yazidis have especially paid a high price, with thousands of them raped, kidnapped or killed). The caliphate of the Islamic State was proclaimed in Mosul. In the weeks following, the Nineveh Plains region around Mosul, with its high concentration of Christians, was swiftly taken by IS. As over 120,000 Christians fled, many were robbed of all they had. Most fled to nearby Kurdish cities and that’s how many reached the Kurdish capital, Erbil. People were sleeping in streets, parks and unfinished shopping malls on bare concrete floors. “The suffering we see is unbelievable here and it makes me cry every time,” an eye-witness said. “I see the desperate faces of the old men and the mothers that come to collect their food and I feel so sorry for them”. Local churches played a key role in offering the first help. They dug deep into their resources to house as many displaced Christians as they could. Pastors, priests and nuns sacrificed all they could share to help people. The same was true for the shrine of Mar Elia. In its once tranquil, park-like church compound, a makeshift tent camp sprang up, providing temporary accommodation for hundreds. Local charities and people of goodwill offered emergency relief in the scorching heat. Winter approached and temperatures in Erbil dropped to icy lows. 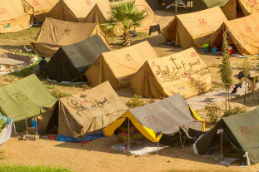 With freezing cold at night, life became so hard for the displaced families in the flimsy canvas tents. Just before Christmas the church was able to replace the makeshift tents with more comfortable ‘winter tents’, providing warmth and protection. Rumours that the battle for Mosul was nearing and that the displaced might be able to soon return to their homes helped those in Mar Elia survive the winter. 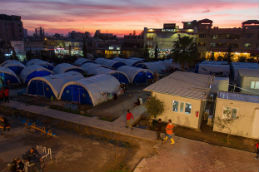 It became clear that nobody was able, or willing, for the time being at least, to push IS back.Christians in Erbil prepared themselves for a “more permanent” displacement. New semi-permanent shelters in the form of porta-cabins defined this period. Every porta-cabin–or caravan, as they are called locally–houses six people. Facilities like toilets, kitchens and bathrooms are outside and have to be shared. The caravans proved to be as multi-purpose as Lego-bricks. Within months, houses, schools and even churches were built from them everywhere in Kurdish Iraq. They can be heated in winter and cooled in summer. Surely the next step for the Iraqi Christians would be returning home? Everywhere in the camp families cleared out their caravans and piled their mattresses, refrigerators and bags of clothes onto church-provided pickup trucks. Reports of a soon-to-be free Mosul still buzzed. The caravans have been inhabited longer than anyone expected. 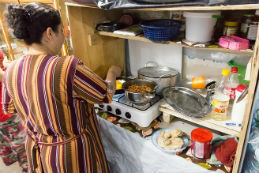 The ongoing displacement, lack of hygiene and lack of privacy in the camp forced the church to find alternatives to house the families–rented apartments, offering them more privacy and comfort. 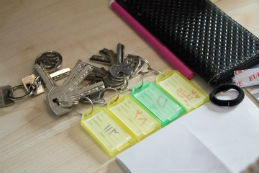 A family that has moved to an apartment expressed their thoughts about that. Grandfather Nasser (74) warned: “When people see pictures, they will see a good house with nice furniture. Maybe they’ll think that all is well now, that these Christians are settled. Rumours finally proved true. The push to re-claim Nineveh was underway. There were tears, soldiers prayed, and priests sang: the moment Iraqi Christians have been praying for. Within days several Christian villages were claimed back from IS. 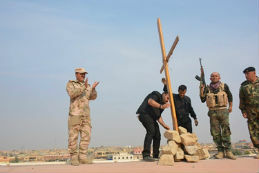 Boldly, a handful of priests got into their cars and drove back to their abandoned villages to replant the Christian cross on their churches–previously removed by IS–and to pray there again. “I am so happy I can do this. I’m smiling from cheek to cheek and I weep tears of joy at the same time. 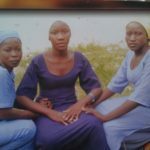 This is the trip I have been praying for, for two years now,” one of them said. Displaced Christians in Erbil were glued to their TVs. Most of them don’t dare to return until the whole of the Nineveh Plains region, including Iraq’s second city Mosul, is safe. But now more than ever hope is alive. Step 7 – Return Home? Many Christian families have regained hope. They pray to be able to return to their houses soon. Many also point out that persecution didn’t start with IS. And they don’t expect it to end with the defeat of IS. For decades Christians in Iraq have suffered various kinds of oppression. There are no “quick fixes” or “easy solutions”. They lift their hearts up for a future in which they can live in peace and worship freely. A global petition has been started, signed by thousands, calling upon governments and the UN to ensure that Christians and other minorities in the Middle East enjoy the right to equal citizenship, dignity, and a prominent role in rebuilding shattered communities: One Million Voices of Hope.